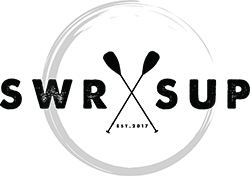 SWR SUP – About us. Tim has spent the last decade working in eco-tourism. He has been actively engaged in a variety of work. Including as a tour guide for kayak tours, stand up paddle board hires and tours, as well teaching scuba diving and skippering luxury vessels for long haul transfers. Tim grew up with a love for the ocean, and a deep respect and passion for the creatures that dwell within it. Nell is a keen environmentalist and holds degrees in Environmental Tourism & Management. Nell’s passion for the environment has led her on many adventures around the globe. Our much loved little ones, Arlo and Pia. Have been a large part of what inspired us to create SWR SUP with their boundless curiosity and love of the outdoors. Our aim is to offer an experience to the public that is both healthy and fun. While also being an environmentally conscious activity, which will showcase our beautiful backyard that is South West Rocks. Copyright 2018 © swrsup.com All rights reserved.